University of California undergraduates are increasingly diverse and better prepared academically than their counterparts from ten years ago. Test scores and GPAs for entering freshman and transfer students have been rising for the last decade, according to UC’s 2016 Accountability Report. At the same time, the number of California applicants from historically underrepresented groups is also growing. “The diverse, high-achieving freshmen and transfer students who will register at our campuses in the next several weeks reflect our intensive effort to expand enrollment for California residents,” University of California President Janet Napolitano told university trustees July 21, as she presented the report. UC produces the Accountability Report each year to provide greater awareness of UC’s operations and impact. It shows how UC is performing in a wide range of key areas, including admissions, enrollment, student outcomes, research, and public service. Napolitano told the board that the report should be on their summer reading list. She highlighted the importance of research and graduate students, in addition to the undergraduate student body. Among the report’s findings: More students than ever want to be part of the University of California. From 2010 to 2015, freshman applications grew by an astounding 58 percent. UC enrolls freshman and transfer students from every county in California, the report found, with most students applying to the campuses that are closest to home. Freshmen and transfer students from underrepresented minority groups have grown nearly 10 percent in the last decade. 42 percent of UC undergraduates are first-generation college students. 40 percent of undergraduates receive Pell Grants, the federal aid program for low-income families. 57 percent of UC undergraduates have all systemwide tuition and fees paid by financial aid. Nearly 90 percent of freshmen and transfer students earn a degree. UC research expenditures were $4.3 billion in 2014-15. 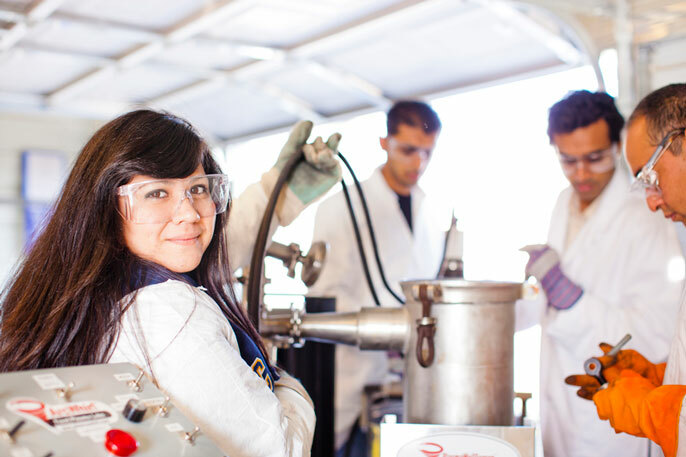 Federal funding accounts for 56 percent of UC research expenditures. California startups based on UC technology generate $14 billion in annual revenue. UC produces, on average, nearly five new discoveries per day and holds more active patents than any other university system in the country.